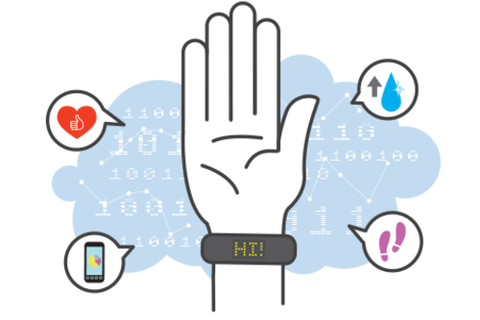 Consumer adoption of wearables and mobile sensors is set to skyrocket in 2014 and beyond, with increasingly complex devices bringing about the true realization of ‘the quantified self’. The impact these sensors will have on consumer life habits, health and the field of medicine signifies a set of complex and exciting challenges for technology designers, developers, engineers and executives. Gadi Amit, founder of NewDealDesign and lead designer of health-tracking wearables as diverse as the Fitbit (adult activity), Sproutling (baby activity) and Whistle (canine activity), as well as medical sensors like the Insuline InsuPad, will discuss the ways wearables will fundamentally alter our measurement of health and interactions with medicine in the age of the quantified self. Gadi will also discuss how product designers and engineers can minimize user-product interaction through smart physical design, customization through 3D printing, body placement and device interoperabability. Gadi Amit is a San Francisco based designer behind some of the most innovative and lasting technology devices created over the last decade. The leader of NewDealDesign, Gadi was awarded the prestigious National Design Award for his unrelenting commitment to crafting delightful and workable solutions for real people. Gadi works from the inside out, blending the practical with the magical to disrupt markets for global brands and transforming unknown start-ups into success stories. Named a ‘Master of Design’ in 2010 by Fast Company, with his firm NewDealDesign he has received over 100 design awards. Gadi regularly speaks at conferences, contributes his design insights to top publications and keeps a blog with Fast Company.